Nannyberry Shrub For Sale - Low Prices Online. Fast Ship. One of the plants looked ok, the other was wilted. I took a picture and decided to give it a day or two to see if it would bounce back. It never did. The other one is doing great. Took another picture. Normally, I wouldn't pay this much for two small plants, but I couldn't find any locally. 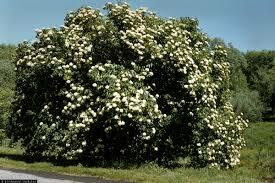 Nannyberry Shrub is likely to attract some wildlife and is as a lovely barrier or border for landscaping. Nannyberry Shrub- Viburnum lentago. The Nannyberry plant is a versatile, alluring shrub that is found in the northern parts of the United States as well as southern and south-east areas of Canada. This shrub produces edible berries that are commonly used in jams. During the spring and summer months, the Nannyberry plant develops green, glossy foliage with clusters of five-petaled flowers. Around the autumn months, the shrub houses bluish berries and fall colored leaves. At full maturity, the plant is about ten to twenty feet wide and 15 to 25 feet in height. Naturally, it is a somewhat small shrub and does not have many stems. The Nannyberry plant is natural to grow and can thrive in sunlight or shade. It can adapt to many different soil types and moisture levels. Nannyberry Shrub is a native growing perennial shrub brings its showy display through the summer months. The Nannyberry gives a nice color blend consisting of thick green foliage, subtle creamy white flowers, and vivid red fruits and seeds. It is a shade tolerant plant species giving it appeal to landscapers for use as borders, significant barriers, windbreaks, and hedges. As part of the Honeysuckle family, Nannyberry produces berry-like fruit clusters that hang from its remarkable dark branches. These berries attract birds and other wildlife. They also bring a kaleidoscope of color changing from green to yellow, pink, reddish, until finally reaching a blackish blue hue. They are also edible and lovely. Autumn brings a show of reddish maroon foliage to the Nannyberry Shrub making it an ideal fall focal point in your landscape. Nannyberry features white, small flowers in small clusters in the spring. In the Autumn months, its green foliage then turns to a deep red, and the lower branches of the shrub begin to root back into the ground when the touch the floor. 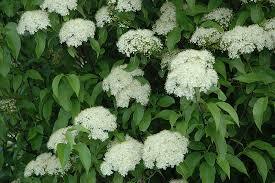 It is very shade tolerant and does well when planted underneath large trees; it also makes an excellent windbreak. Thus, if you are looking for a plant that will bring a terrific seasonal display to your garden, the Nannyberry will offer you showmanship with its variety of color through its berries, flowers, and fall color display.